Flowers, check. Venue decorations, check. Wedding cake, check. Any couple who has been through their big day will be no stranger to the long checklist of things it takes to pull off a beautiful wedding. Apart from the usual suspects, these days, some couples are opting to take things one step further with luxurious add-ons such as a customised scent, or special lighting effects for their weddings, creating a multisensory experience for their guests. Scientific research has shown that out of our five senses, the olfactory system is the one that can trigger memories and emotions the quickest. That is why it comes as a surprise to us that wedding scenting has been a rather neglected segment of wedding planning until recently. 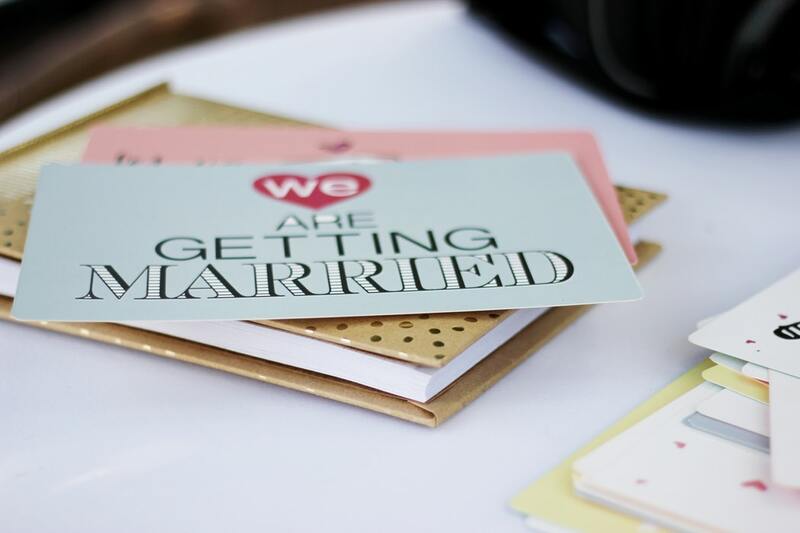 The simplest way to work a scent into your wedding is to add a drop of fragrance on your invitation cards when you are sending them out to set a mood for what your guests can expect when they turn up for your big day. As couples become increasingly creative in coming up with their own unique wedding themes, it is no wonder that basic ballroom lighting can no longer suffice to create the right mood and ambience for one’s wedding. The need for specialised wedding lighting comes almost as an intuitive thought if you wish to create an immersive experience for your guests during your wedding. 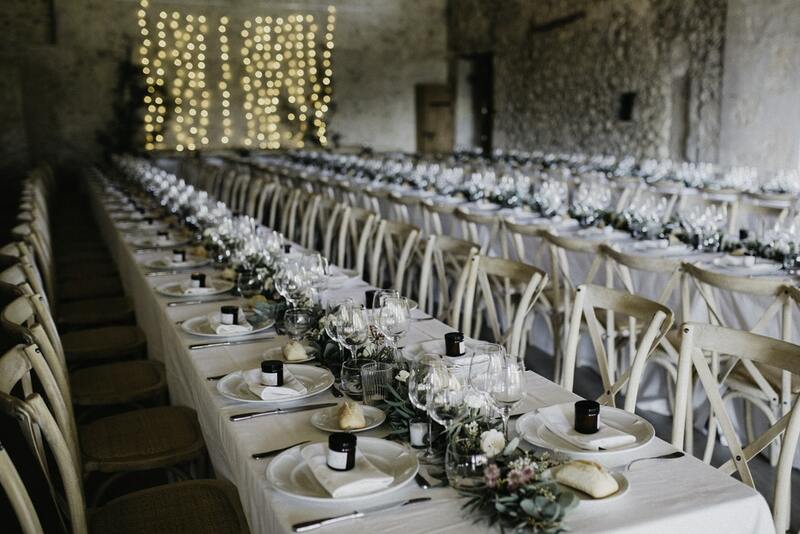 For example, to materialise the wedding theme of say, a magical forest, it is a no-brainer that the usual white lights would not be enough, and perhaps, darker-coloured lights are needed to create a more mysterious atmosphere. A change in lighting effects will also help your guests’ transition between different segments of your wedding programme. For example, the pre-dinner cocktail session can be awash with gold accents to create a laidback vibe for your guests, before they step into a different lighting environment in your banquet venue. Sophisticated use of lighting effects can also draw your guests’ attentions where you want them to be – consider the use of a spotlight during your march in, or the use of pin spots to highlight that particularly spectacular floral centrepiece. But apart from being purely aesthetical, specialised lighting can be highly functional, specialised lighting can be highly functional as well. For example, the strategic placement of lighting in an outdoor wedding can help to illuminate a path for your guests and prevent accidents at night. Clever usage of colour washes can also help to define specific zones within your wedding venue, for example, the dance floor. For couples who are looking for that bit of dramatic effect, wedding pyrotechnics might just be the thing for you. Imagine this –a burst of gerbs (a pyrotechnic effect that looks like a shower of golden sparks) just as you are ending off your wedding waltz – if this doesn’t spell “impact”, we don’t know what else does. For your information, the use of pyrotechnics in weddings is allowed in Singapore, though different types of effects are permitted depending on whether your venue is indoors or outdoors. Be sure to refer to the guidelines set out by the Singapore Police Force, and double check with your vendor and venue provider on other safety measures. Next, you can draw inspiration from the bridal bouquet for floral noted that you can use to perfume your wedding venue. 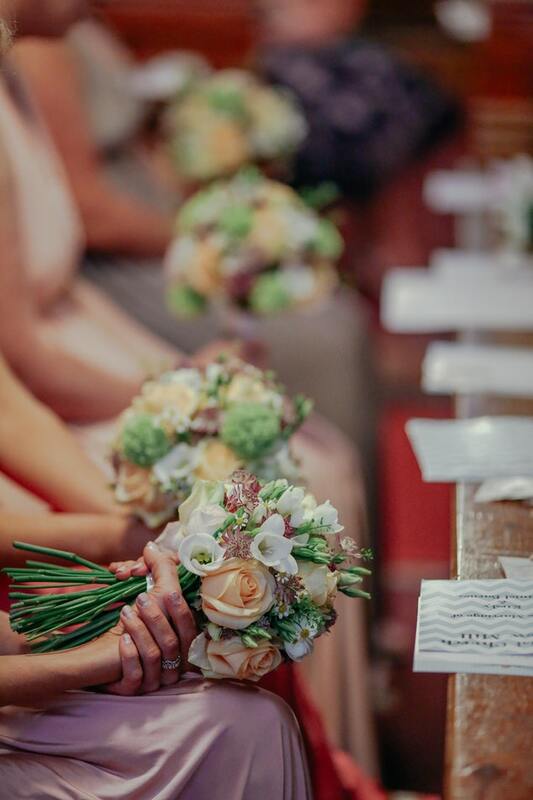 While some couples may choose to go au naturel and use only fresh blooms for their wedding scent, chances are, the prohibitive prices due to the large number of flowers required, and Singapore’s tropical climate will make this solution less viable. Though a scent is formless and cannot be seen, couples can be assured that the extra effort put in will make all the difference. Your customised wedding scent would likely be the first thing that comes to mind every time your guests reminisce about your wedding. Similarly, we are sure the scent will bring many sweet returns for you and your beau on your big day as well. 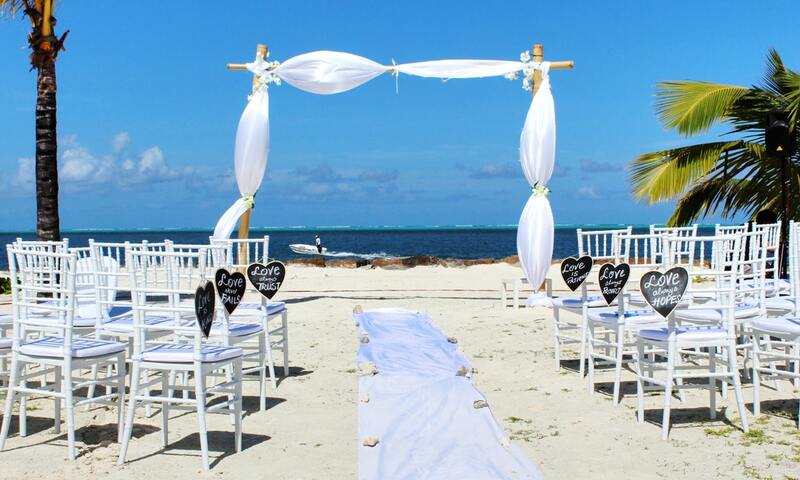 New place, new man, new life – this is one wedding idea that embraces them all. No matter how many houses you have lived in, your marital abode will always be anchored closet to your heart. The celebration of your bid day in your newly furbished home will be an exclusive and intimate affair with your loved ones. And incidentally, it can also double as your housewarming bash. Unlike most wedding restaurants that have rather neutral interior designers and can be easily transformed to meet your theme expectations, your marital home is likely to have a striking theme that reflects you and your partner’s taste. The apartment featured in this article is classy and contemporary with winter colour tones. Our design idea here is to create a homely and sweet – but not bubble-gum sweet – atmosphere that relaxed anyone who comes in through the door. This involves a careful selection of flowers and even the food. White roses, white eustoma and baby blue hydrangeas are placed around the house to perfume the area. Smiling Orchid has prepared food items that are chosen for their ethereal beauty while others, such as the hot chocolate with baby marshmallows, are food that comforts the soul. And that is the whole idea here: To let your guests feel at home. Compared to banquet halls the size of several four-room flats, most of the places we live in are constrained by space. So “less is more” is the rule of the thumb here for setting up the place; and do bear in mind that overcrowding does not equate cosiness. Even if your guests turn up in t-shirts and jeans and you in a simple dress grabbed off a department store rack, there will be no less of the choking emotions and quivering voice as you say “I do”. To make good use of space for solemnisation, set up a linen-draped table right next to a big window that has ample sunlight pouring in. After the exchange of vows, you can use the same table to display your food. Even though your house wedding will be small, plan some entertainment programmes which can include playing a homemade video that talks about your love journey and tributes to the families and friends who are present. Your guests are more likely to remember your small and intimate wedding than the grand ones due to its more personal feel and sentimental value.